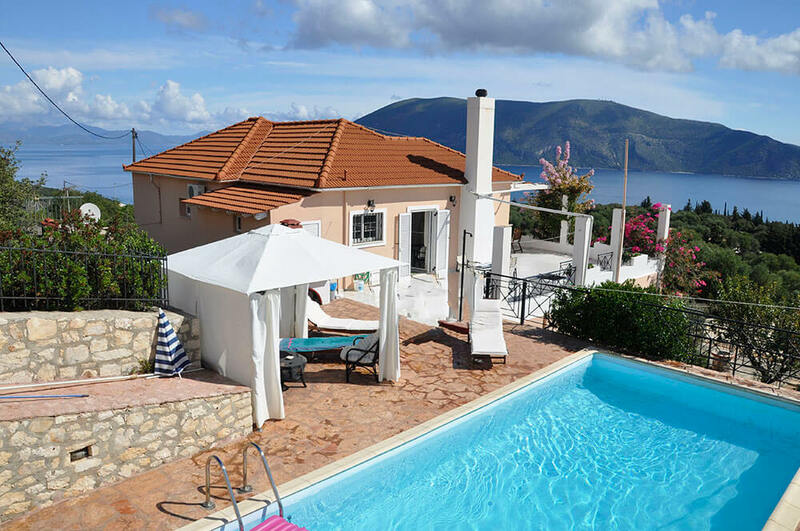 If you’ve not had a villa-type of holiday or have never been to a Greek island before, then you’ll be in for a treat should you embark on any villa holidays in Kefalonia. Kefalonia is the largest of the seven Ionian Islands, situated to the west of mainland Greece. 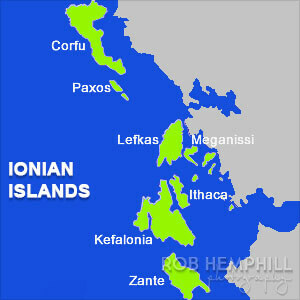 Lying only 2 miles off its northeastern coast is the much smaller, but highly significant island of mythology, Ithaca. 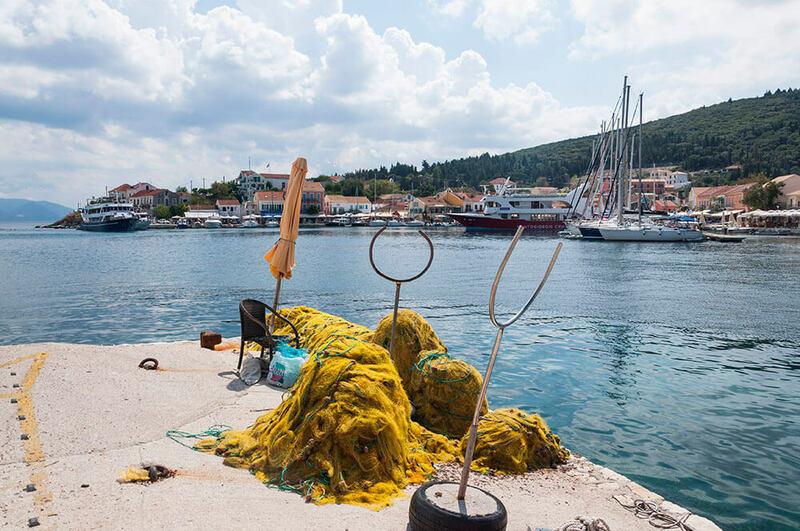 Having spent a special week in a villa near the northern fishing port of Fiskardo, it was truly wonderful to find a tourist destination that hadn’t been spoilt by the addition of high-rise hotels and fast food eateries. But, instead, the locals continued with their small boat fishing, as well as olive and goat farming – and even some vine growing and winemaking. 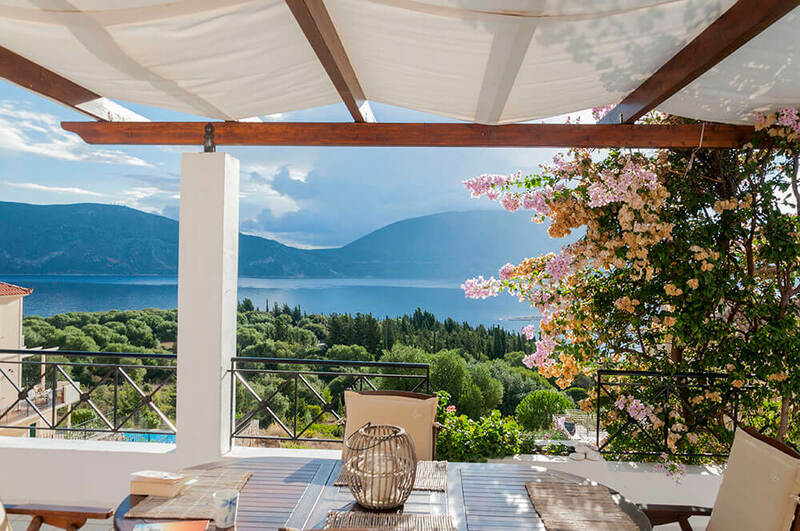 Obviously, being a desirable holiday destination, it’s amazing that the landscape remains relatively unscarred; with only small, simple and tastefully built villas sparsely populating panoramic mountain and seasides. Kefalonia is a ‘magical island’, and here is what I found on my travels. …meant we would return again and again! It was in 2010 when we first came to Kefalonia (Cefalonia), and experienced the charm and beauty of this small Mediterranean island. Probably not the charm that many would associate with a Greek island, but to a keen photographer, there were photo opportunities everywhere. From pretty beaches and attractive coves to peaceful villages, stunning scenery, and small fishing harbours, everywhere had a postcard view. The people are friendly and keep themselves to themselves. Most of the population make their living from agriculture and tourism in one way or another, but it is not that noticeable – which is lovely. 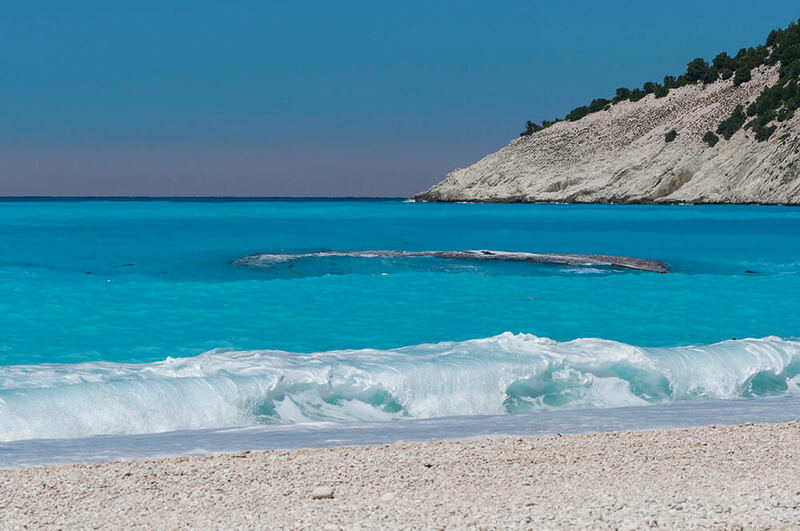 On this first visit, beaches were on the photo menu – as Kefalonia has many stunning ones, so I set about trying to visit those that had been recommended to me by locals. 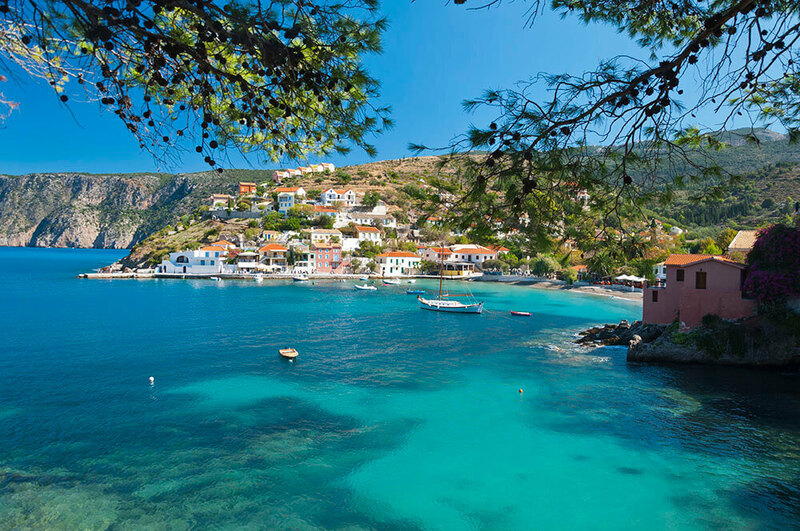 Assos was founded under Venetian rule and from 1593 it served as the administrative capital of the northern part of Kefalonia. This small, secluded village is situated a few miles north of Myrtos beach on the Assos peninsular. The village is nestled into the horseshoe-shaped harbour and surrounded by dramatic coastal scenery of cypress forest hillsides and a cobalt blue sea. The remains of an ancient Venetian fortress situated high up on the peninsular dominates the area. A well designed wide walkway allows the visitor to walk from the village up to the ruins, where spectacular aerial views can be experienced. This rustic village has only about 100 inhabitants, which swells during the summer tourist months. Many people come to learn about the existence of Venetian architecture prior to the 1953 earthquake, as examples can be found in the national heritage fortress. The image below was taken above the tiny pebbled beach which offers visitors the chance to cool off after the long climb to the castle. Who could resist looking at the colour of the water? The terraced hillsides sloping above Assos used to be cultivated with cereal crops and grapes before the 1953 earthquake. 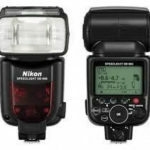 However, these have long been abandoned, and now lie idle with perhaps the odd goat to be seen grazing among the undergrowth and olive trees. Fresh fish is caught daily and appears on most menus wherever one eats, although the fishing fleets around the island have diminished in size. Tourism is by far the most important form of revenue with the majority of Kefalonians being employed in related industries. One of the most photographed beaches in the world. 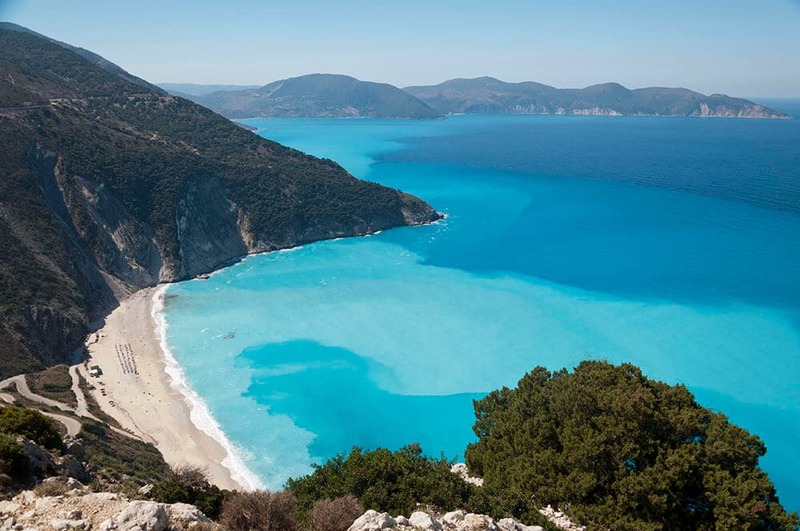 Myrtos beach is located about 30 km north of the capital, Argostoli, on the northwestern coastline near to the ancient and beautiful town of Assos. Surrounded by high rocky white cliffs, with a small cave at its southern end, the semi-circular coarse sand and pebbly beach is situated in a spectacular setting. 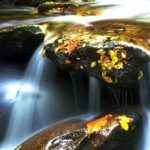 There are deep shelves of sand and stone, so one must enter and leave the water with caution, due to the strong undercurrents. Walking on the hot pebbles is not easy in bare feet, so sensible footwear is advisable for swimming in. The many colors of blue, from the sky down through the water, have one in awe when viewing from this spot. 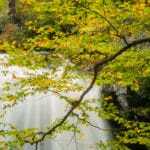 The surrounding area is rugged and unspoiled. In fact, only when one is swimming in the sea and facing away from the land, can a magnificent purple haze be seen stretching right across the horizon. The location is probably best known for a beach scene in the film Captain Corelli’s Mandolin filmed on the island in 2001. Nicolas Cage, Penelope Cruz, John Hurt and Christian Bale star in this light-hearted film set in Kefalonia, based on the novel by Louis de Bernieres. An unlikely romance ensues when Captain Antonio Corelli, the commander of an invading Italian army, with a jolly personality (Nicholas Cage), meets Pelagia, a beautiful but tempestuous Greek woman (Penelope Cruz). Corelli’s passion for playing the mandolin and singing with his battery of musical troops have the gentle effect of softening the head-strong Pelagia, whose fiance Mandras, (Christian Bale) heads off to war on the mainland. The town of Fiskardo is situated on the northernmost part of the island. As a port, there are regular ferries to neighbouring Lefkada (Lefkas) and Ithaca, as well as to mainland Greece itself. The coast around Fiskardo is predominantly rocky with several pebble-beached inlets and coves. Fiscardo is unique as it was one of the only places on Kefalonia that was left virtually undamaged during the great earthquake of 1953, which ruined most of the historic buildings on the island. The town takes on a very different perspective at night as the lights from the old buildings, bars and restaurants combine to provide that magical Mediterranean atmosphere we all love. 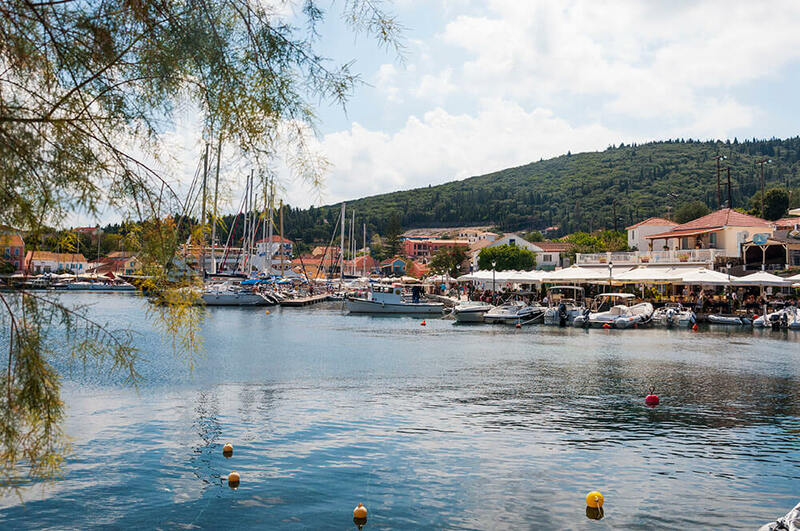 Of all the villages on Kefalonia, Fiscardo has a unique ambience, especially on a summer evening drinking wine in a taverna to the sounds of gentle lapping of the sea. Having arrived at the airport in the dark, we had no idea where exactly our villa was, apart from that we had a 50 kilometre drive along narrow, twisty roads to get to the village. What made this exciting was that we had no idea what landmarks and scenery we were passing (passed by Myrtos beach and Assos without knowing it). 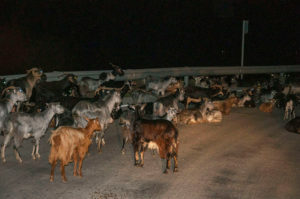 We encountered a small group of goats lying in the middle of the road, obviously enjoying the radiated warmth from the tarmac after a lovely blue-skied, hot day. They clearly knew that the traffic – all one car of it – would stop in time, and not run them over. In fact, they were very belligerent at having to move at all! When we arrived at our destination, we had discovered a dream villa with a lovely owner, who made us very welcome. 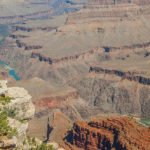 But, we still had no idea what views we might have – or even if we had one at all! This was our villa facing towards the island of Lefkada (Lefkas) to the north and Ithaca to the east (see photo below). 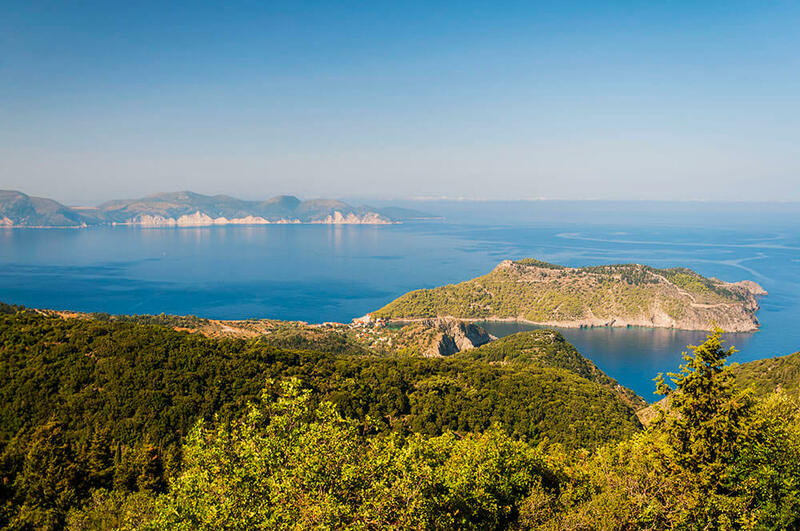 To wake up and have the sun blazing through the window with the amazing backdrop of Ithaca seemed so surreal – we were only 2 miles from this famous island of mythology. We soon started talking about the stories of Homer’s Odyssey, about Cyclops and Zeus, Athena and Penelope, and that Odysseus was helped to get back to Ithaca by the Phaeacians. The chatting then slowed down, as we all struggled to remember the mythical details. Have a look at Odysseus. But we still couldn’t believe that we were a stone’s throw from this great island – we had to visit it by boat – and we did the very next day. Our pretty location meant that we had access to so many gorgeous beaches, harbours, and villages, and could find a wealth of attractive restaurants with tables only 3 feet from the sea all within a few miles of our villa. 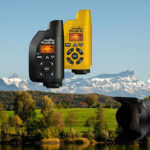 We had found somewhere truly wonderful, and just what my camera ordered! 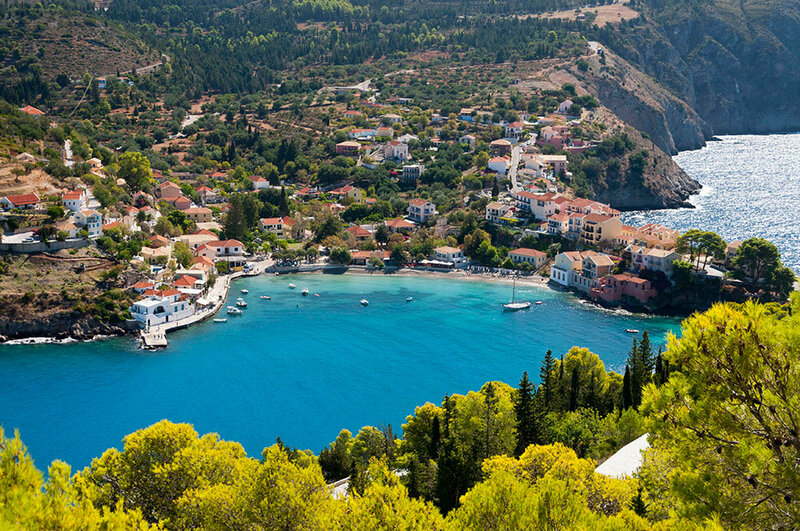 Have you been to Kefalonia or any other Greek island? If so, then do share your exploits and experiences.Thank you for dropping by and hope you enjoyed the photos.